So with all this beautiful sunshine we are getting, it makes you think about your garden and how you can create something different to be able to sit out in. Bring a favourite place closer to home for you to enjoy is a perfect way to make your garden personal and relaxing. I am featuring this guest post today, to give you some ideas on how you can bring Brighton Beach to your back garden. Brighton is a beautiful place, known for its coastline, culture, and creatively painted beach huts. Located about as south as you can go, it can be a bit of a stretch to get to for some of us, but with these design tips you could bring a bit of Brighton Beach to your own backyard, and you’ll be happy to know you don’t needs bags of sand or a water feature! 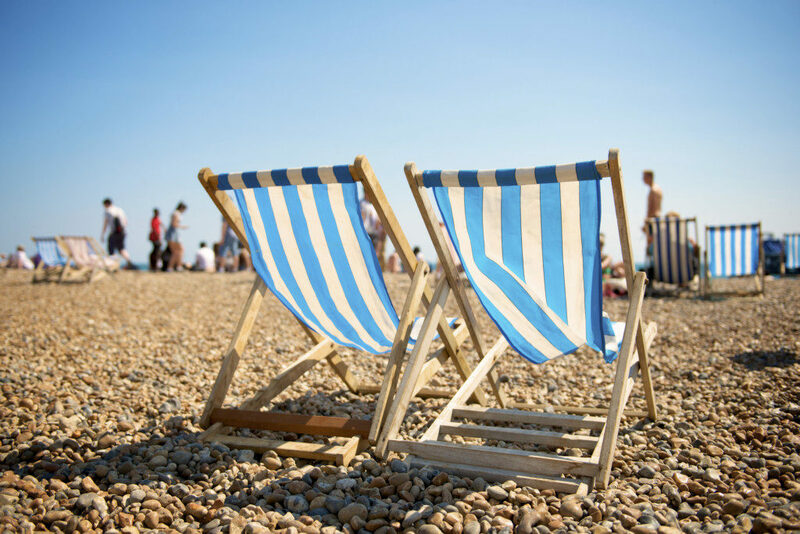 The first thing you’re going to need is some Brighton looking deck chairs to lay back on. These are essential for getting that beach side feel and image, plus, they’re pretty comfortable and can deal with the forever changing UK weather. If you don’t live by the sea, a beach chair might be fairly hard to come by, so you’ll have to resort to using the web. 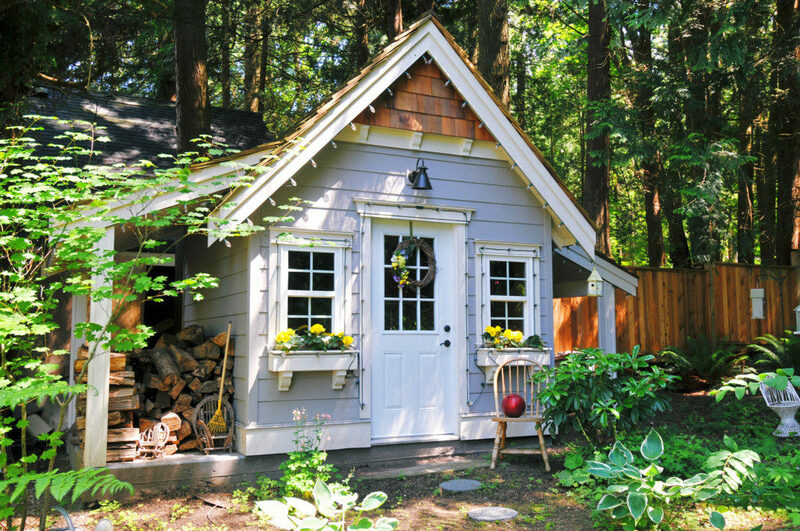 If you’ve got a shed, it’s time to crack the paint out and get creative. Brighton’s beach huts (which are mirrored by it’s name double, Brighton Beach Australia) are wonderfully eye catching and recognisable. If you don’t have a shed, paint the outside of your backdoor. Using a nice bright colour and unusual design will help it to really feel like you’re escaping the home. A wooden door will look best and be easiest to paint, if you need to replace a vinyl or plastic door, check out Oakwood Doors, they have a great range of untreated options for you to get creative with. If you can empty the shed, even better! Create your own beach hut or summer house, the pebbled outside like above really adds that coastal feel and shouldn’t break the bank. You don’t have to go too bright or too crazy if it isn’t your thing, nice neutral colours also work great and give the same effect. If you don’t have a shed to use, not to worry, just constructing a simple frame can give you the same kind of feel, and it allows for some stargazing. It is also great to think outside the box with outdoor lighting, you can achieve a really retro Brighton feel just by picking the right lights. 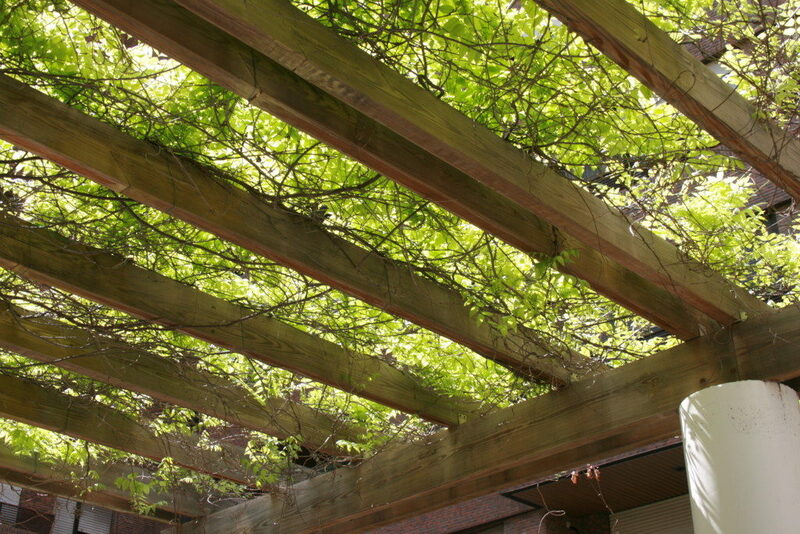 Before you make any purchases make sure what you’re buying is suitable for outdoor use. If you really want to get that beach feel, you might have to do away with some of the grass in your garden and carve a corner out for pebbles, stones, and decking. 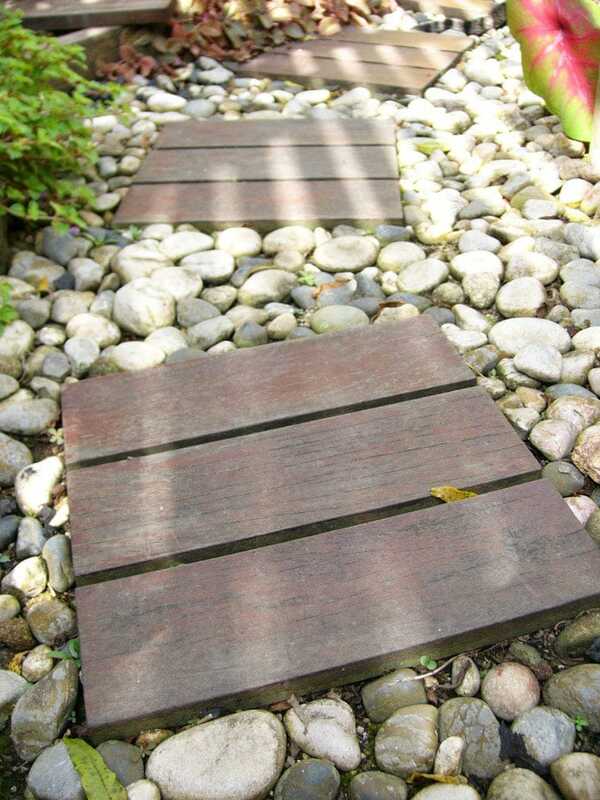 If you can’t afford professional decking, try just creating a nice path to your pebbled corner like above. This is easy to achieve on a small budget, and looks great! 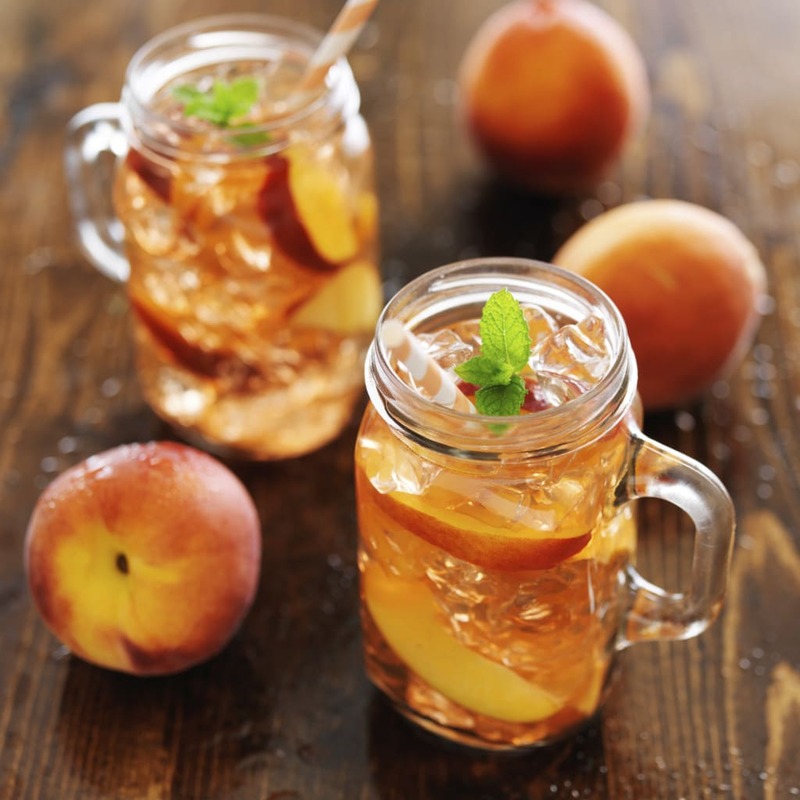 After all the hard work, you’re going to deserve some refreshment. Think of these as an accessory to your new look Brighton garden. Using old jam jars as glasses looks fantastic, and again adds a nice retro feel. There are hundreds of different designs available on the internet, most of which are thrifty and cheap. There are also hundreds of choices of refreshing beverages available, but we’ll leave that decision to you!